At no point in my life did I think that the Nobel ceremonies sounded like a good setting for a thriller. Clearly the creators of 1963’s The Prize felt differently. Author Andrew Craig (Paul Newman) wins the Nobel for literature. He comes to the ceremony in Stockholm mainly for the money, but Andrew soon finds distractions. For one, Andrew develops a romantic interest in Inger Lisa Andersson (Elke Sommer) - the assistant assigned to him for his stay – as well as Emily (Diane Baker), daughter of fellow Nobel winner Dr. Max Stratman (Edward G. Robinson). In addition, Andrew grows suspicious when Max acts oddly, and Andrew’s investigation leads him down a dangerous rabbit hole. I’ll say it again: a thriller set at the Nobel ceremony still sounds like a weird concept, but as it plays, The Prize uses Stockholm and the Nobel elements as little more than window dressing. These concepts feel like a gimmick and not anything essential for the story itself. In addition, the synopsis I provided above sells the movie short somewhat, as it omits a lot of characters. Newman’s role does become the focal point, but he doesn’t dominate as much as one might expect – heck, Newman doesn’t even appear onscreen until more than 13 minutes into the film. A look at director Mark Robson’s filmography hints at the movie’s scope. With flicks like Peyton Place and Valley of the Dolls show an emphasis on soap opera melodrama, and that tone pervades Prize. Which I regard as a disappointment, as I thought the sudsy orientation damaged the movie’s potential as a thriller. While the mystery elements increase as the story progresses, Robson still feels more interested in laughs and romance among the Nobel winners, and the end result lacks consistency. If Prize developed compelling characters and situations, I wouldn’t object to the erratic tone, but this never occurs. The film fails to let the characters evolve in an intriguing way, so this remains a thin narrative. Despite all his cinematic charisma, Newman fails to bring much to Prize. He tends to overact and lean toward a campy performance. Not that I can blame him, as this style matches Robson’s filmmaking MO. Apparently Robson liked broad, goofy soap opera-style dramas, so I guess Newman “acted down” to suit the director’s preferences. 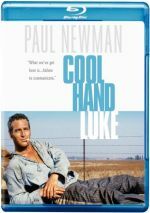 When even Paul Newman can’t elevate a movie, I know it fizzles. A spotty, lackluster mix of romance, thrills and comedy, The Prize squanders its potential. The Prize appears in an aspect ratio of approximately 2.40:1 on this Blu-ray Disc. While mostly appealing, the image came with some minor inconsistencies. Sharpness delivered the most erratic side of the image. Much of the movie displayed good clarity, but occasional soft shots materialized. Overall, the image remained pretty well-defined, but it came with exceptions. In terms of colors, Prize went with a subdued palette that emphasized earth tones. Overall, the hues felt fairly accurate within the visual choices. Blacks were dark and tight, and shadows showed reasonable smoothness. This ended up as a largely good but not great presentation. For the most part, the DTS-HD MA monaural soundtrack of Prize held up pretty well over the years. Music showed generally good life given the movie’s age, so the score was fairly bright and full. Effects seemed reasonably accurate and distinctive, and speech was largely natural and warm, though a little edginess occasionally crept into the proceedings, and some lines also were awkwardly looped. Nonetheless, I liked what I heard most of the time and thought the audio served a “B-“. The disc includes the film’s trailer but it lacks any other extras. With a filmography that emphasized soap opera-style efforts, Mark Robson seemed like the wrong person for The Prize, a Hitchcockian thriller. Robson’s preference for broad melodrama saps the movie of its potential, and even Paul Newman can't redeem it. The Blu-ray offers generally positive picture and audio but it lacks supplements. The Prize disappoints.